In small microwavable bowl, microwave cream cheese uncovered on High 30 to 45 seconds or until softened. 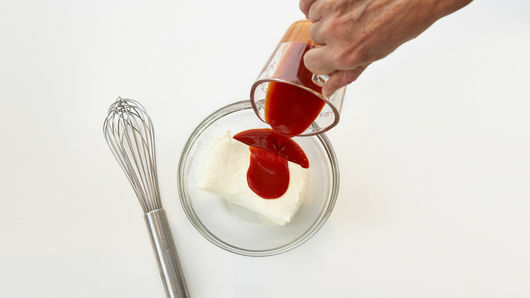 Add 1/3 cup cayenne pepper sauce; mix well using whisk. 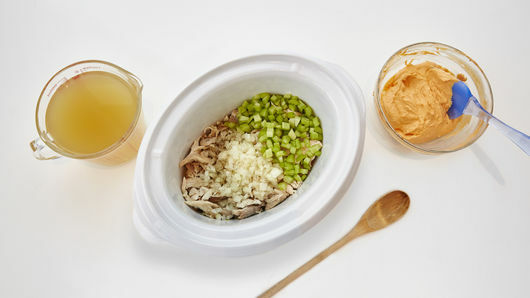 In 3- to 4-quart slow cooker, mix chicken, onion, 1/2 cup celery, the chicken broth, salt and pepper. Stir in cream cheese mixture. Cover; cook on Low heat setting 4 to 5 hours or until vegetables are tender. Stir in 1 1/2 cups of the shredded cheese; cover and continue cooking about 15 minutes or until cheese is melted. Stir and serve with remaining 1/2 cup shredded cheese. Garnish with remaining ingredients. Sliced green onions are great to serve as a topper for this soup. Serve with a side of crusty bread for a complete meal. Buffalo chicken got its start in none other than Buffalo, New York, where it was originally served as Buffalo wings (deep-fried wings doused in hot sauce and served with Bleu cheese and celery). 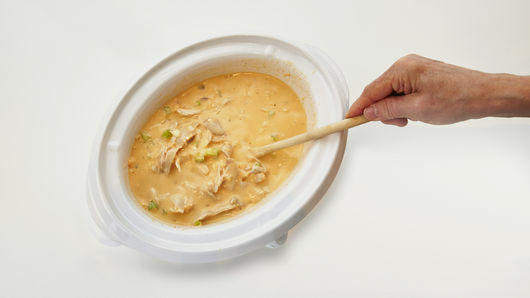 Today you can find Buffalo chicken served in all kinds of ways that go beyond the wings, like Buffalo chicken dip, Buffalo chicken casserole and this slow-cooker Buffalo chicken soup. Most people still serve anything Buffalo flavored with Bleu cheese and celery, which can help cool off the hotness that comes with Buffalo sauce, although ranch dressing is another popular pick. Want to go beyond ranch and Bleu cheese? 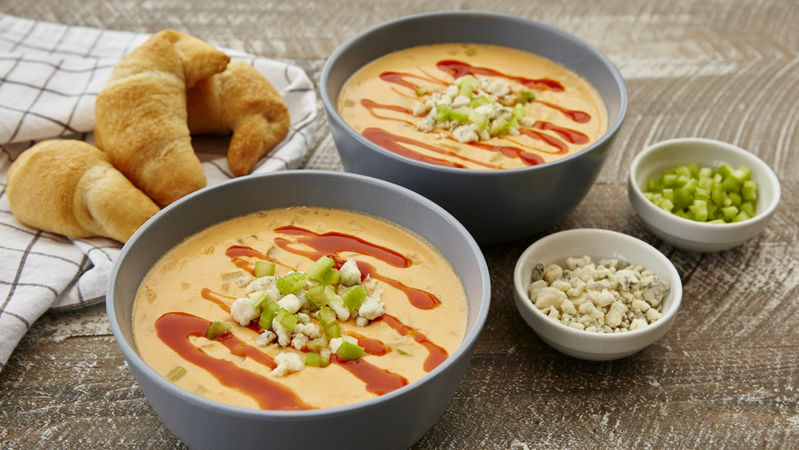 Discover more delicious ways to take your soup toppings up a notch with these easy ideas. Plus, check out the rest of our easy chicken soup recipes!